If you read my last post, you would know that I took a mini break from blogging this week. I have been on an emotional rollercoaster lately and needed time to deal with it; but the truth is, I just couldn't not blog for an entire week. Blogging has become such a huge part of my life that I just can't part with it, not now at least. I guess I also find some sort of comfort in it as well. About these photos... the connecting plate of my tripod was broken for the longest time and I finally got it replaced, and so yesterday I decided to take some self-portraits in my apartment. I love this crochet romper, the knit is so comfortable to lounge in all day long. 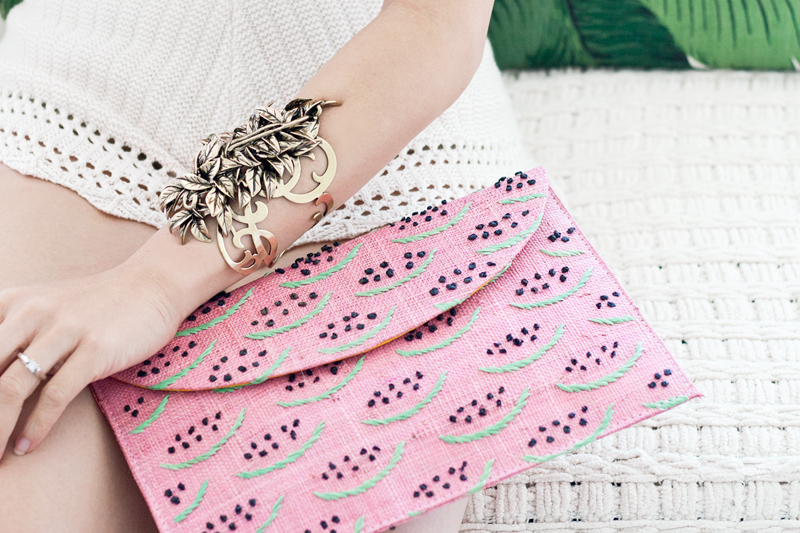 I paired it with these printed calf hair slides, a darling watermelon woven clutch, and this incredible statement cuff! So there you have it... just me... simple, comfortable, at ease. Crochet knit romper c/o MakeMeChic. Crusoe calf hair slide sandals c/o Report Signature. 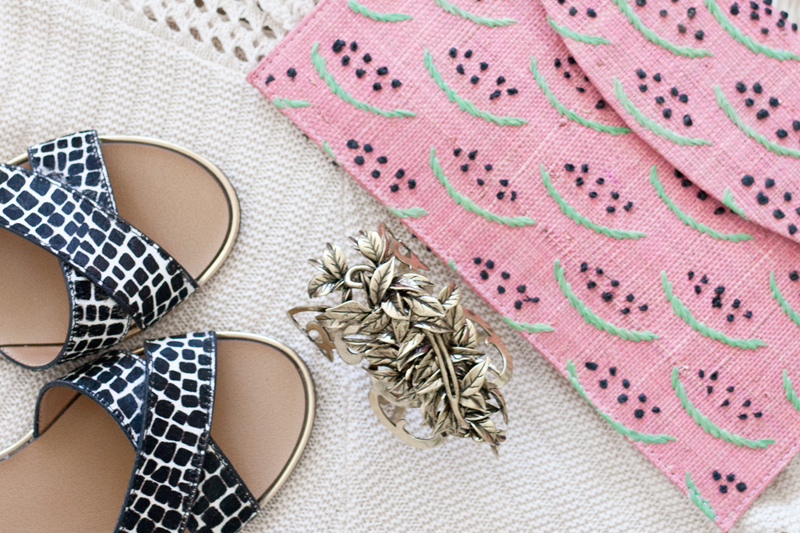 Watermelon woven clutch c/o Kayu. Midnight Garden cuff c/o Samantha Wills. I hope things are okay and that your emotional roller coaster eases up a bit. <3 I love this post, the whole look if lovely but seemingly effortless. I wish I could dress like this when I'm home alone but I get shy (dumb I know). Where did you get those awesome pillows?? ?